At hydrotherapy I had unexpectedly found myself swimming doggy paddle. Suddenly I realise swimming is proper exercise. There is no fear of falling over. It uses so many muscles. It is healthy exercise and no fear of falling over, call it a water workout. 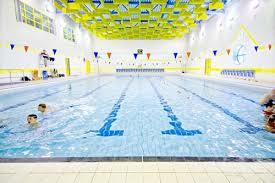 Feeling exhilarated by the thought of swimming a few strokes I made enquiries at the local swimming pool. Yes they do have steps to get in and out of the pool. I don’t mean the vertical steps but steps like a staircase with bannisters for support. Also there is a changing room for the disabled. First of all I had to overcome my dislike of changing rooms at public swimming pools. There is never enough room and the floor is always awash with water. The idea of a special room for disabled people cheered me up. There would be a wheelchair for me to use to get to the pool. No membership fee if you are disabled was an added incentive. For my first visit I decided to go on my birthday. Not too sure why. So I got all my bits and pieces together, remember I had to remove the electrodes for my FES. I went to the pool on my mobility scooter. Only a 10 minute ride. The changing room was a little bit dark and dingy. It could have done with a brighter light. I changed and got into the wheel chair. Mistake cos I could not open the doors. Also the tyres were flat. Ever tried to propel yourself on a wheelchair with flat tyres? It isn’t easy. I practised balancing in the water with one in each hand that I held underwater. Then I took the plunge. Discarded one water noodle and put the other round my chest and started swimming. This was only doggy paddle. Getting both my legs to kick was a struggle, the right was OK but the left one seemed to be quite happy staying submerged. I supposed I managed about 50 or 60 metres. At one point I discarded the water noodle and was swimming without support. I got quite close to sinking proberly because I can only use one leg..
After half an hour I was ready to get out. No aches or pains in my shoulder. I felt a warm glow in my body. I had used muscles for half an hour that normally get almost no use. Some of them even ached, especially in my tummy. Yup it is worth doing, I felt so much better afterwards. ISwimming is proper exercise, its fun and its healthy in fact its almost addictive.